Goya: Goya was born in the small Aragonese town of Fuendetodos (near Saragossa) [ed. note— I read this at first as ‘Freudetodos which would mean ‘all Freud’ or, ‘totally Freudian’, as in totally Freudian town. Imagine that…] on March 30, 1746. His father was a painter and a gilder of altarpieces, and his mother was descended from a family of minor Aragonese nobility. Cholla: Horses are often seen as noble. Goya: In 1771 Goya went to Italy for approximately one year. His activity there is relatively obscure; he spent some months in Rome and also took part in the Parma Academy competition, in which he was successful. Goya: One of the nicest of Goya’s paintings, “The Love Letter”, painted 1812-1814, was issued by France for Stamp Day 1981. Cholla: Horses are very loveable. Goya: Straightforward candour and honesty are also present in Goya’s later portraits, such as Family of Charles IV (1800, Prado), in which the royal family is shown in a completely unidealized fashion, verging on caricature, as a group of strikingly homely individuals. 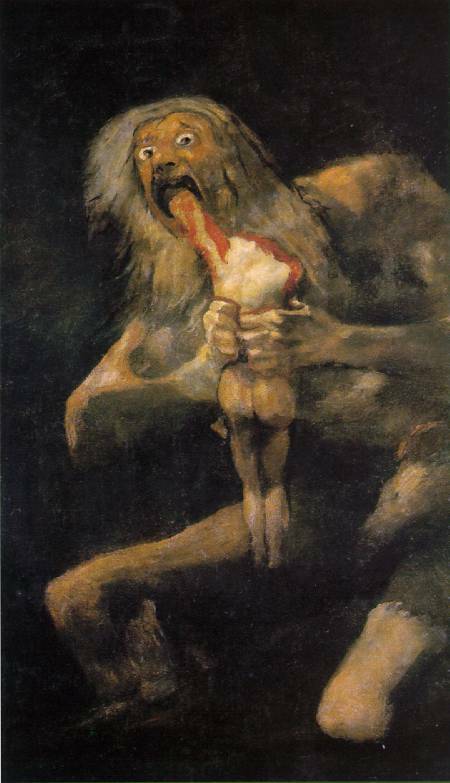 Goya: The Black Paintings (c. 1820, Prado), chilling scenes of witchcraft and other bizarre activities, are among the most outstanding works of the artist’s late years. They were originally painted in fresco on the walls of Goya’s country house and are now transferred to canvas. Painted predominantly in blacks, browns, and greys, they attest to his progressively darkening mood, possibly aggravated by an oppressive political situation in Spain that forced him to leave for France in 1824. Cholla: Horses often come in blacks, browns and greys. 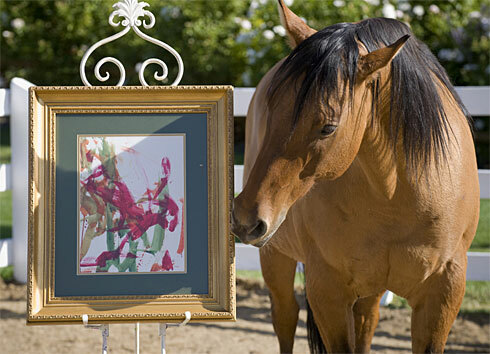 This entry was posted on October 18, 2008 at 4:51 pm and is filed under Animal Stuff, art, Art & Competition, Artists, Exhibits, lessons in Art, Miracles, The meaning of life, The Process of Art with tags A horse is a horse of course, Cholla, Cholla the peinterly hose, Goya, How goya and Cholla are alike and akin. You can follow any responses to this entry through the RSS 2.0 feed. You can leave a response, or trackback from your own site.